When we practice it is important to not just simply point our weapons downrange, aim, and fire. We also need to prepare for events, encounters, and situations where we might encounter a situation where we will need to use our weapon. Of all the news coverage I’ve seen, recently, these encounters have happened at restaurants or at the gun owners home or property. This means that we need to do our scenario-based training focusing on situations we are most likely to encounter. Even if you are employed somewhere that will not allow you to carry your weapon, you still need to have a plan for how you intend to address an active shooter or threat. You should map out a rough floor plan of your workplace including obstacles you might encounter on your way to safety. Surviving this type of threat isn’t engaging the shooter—it’s getting somewhere safe. This is one of the places where we all need to exercise our levels of awareness. In places like these, it can be difficult to determine who’s a threat. One tactic I can share with you here, is to keep your dominant hand empty (especially if you’re carrying your CCW, so you have the easiest and quickest access to your pistol). We all see a victim drop their keys trying to get into their vehicle; practice opening your hard with your opposite hand—leaving your strong side free. Only open the door you’re using to enter your vehicle, placing your bags (if you can) in the passenger seat. This is when we let our guard down. Regardless of whether you live by yourself or with your family, this scenario can be practiced without live fire or gun use. Practice getting yourself (and your family) to safety. If you have children, this is a great opportunity to teach them what to do—teach them how to assess a situation and determine if it is safe to come out of hiding—to run to a neighbor’s house and call the police, &etc. Take this opportunity, if you’re married, to work with your spouse to determine how you can work together to protect each other and get through this situation, together. (I’m tired of watching the woman just stand in the corner and do nothing in movies and television! You both should work together.) Remember to communicate to each other (and your kids) clearly. There are flat tires, overheated engines, running out of gas, needing to relieve yourself—etc. Roadside emergencies are the second scenarios where practicing your situational awareness is key. Sure, you’re more likely going to encounter someone willing to help you, but you will be in a position where you will not be able to easily get to help. Now, some of these situations require more planning and the aid of a firearms instructor, and I encourage you to seek out their opinions and help. They will be able to help you through many different scenarios within all these situations. 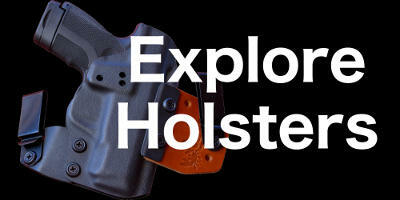 Are there any other situations, you think, conceal carriers should practice?